Dry beans soaked, added to simmered vegetables and meat, cooked over low fire, then thickened with a paprika based roux. 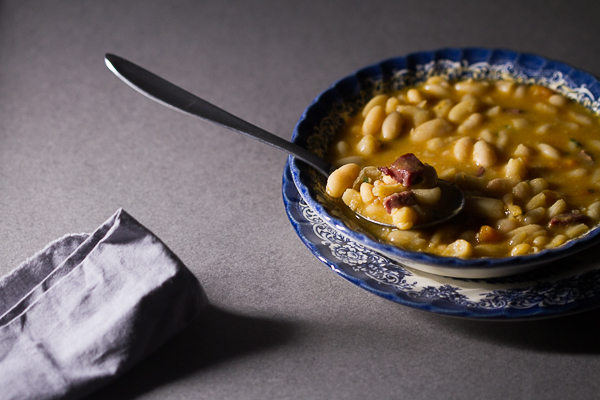 The result is a delicious thick soup (stew) overflowing with meaty, hearty beans, processed to perfection. 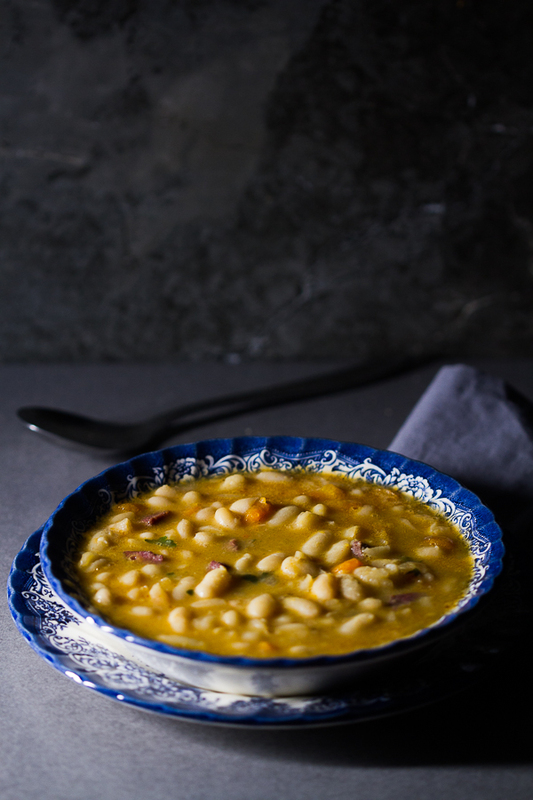 If you’ve noticed a similarity in today’s bean soup with previous bean stews we made, that’s because they’re different versions of the same dish. Why did I call it soup instead of stew today? For SEO. A challenge in writing about a cuisine that’s relatively unknown in the West often has to do with translating. How do I translate the taste? How do I depict it in a way that lets you know this is something worth your time in the kitchen? How do I go against what’s already written, and explain that it’s so much more. Depicted as a soup elsewhere online. But it’s a lot more than a soup. A soup is not a complete meal. It’s merely its beginning. Today’s bean soup is its beginning, middle and end. Save for a slice of bread, and maybe a tomato sliced and salted, you need nothing else with it. 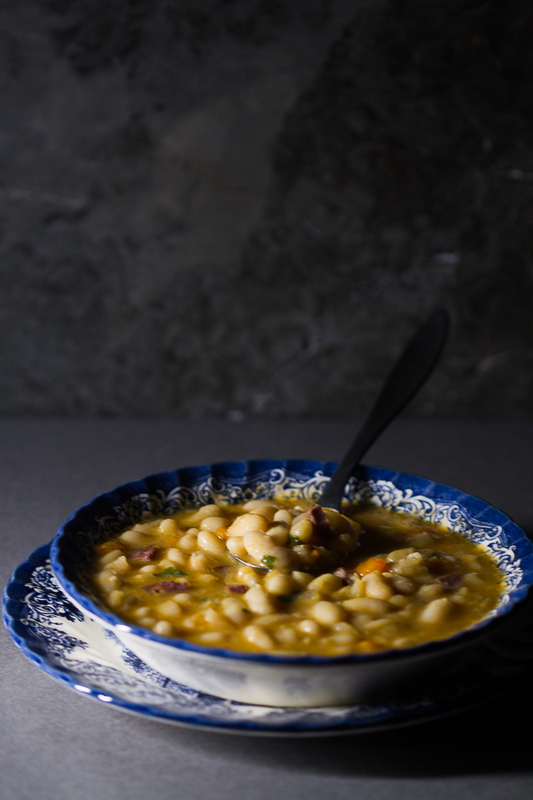 The meat gives it a heavier accent, although beans do not lack in protein. This is a hearty meal. Like most stews, it’s better when you warm it up the next day. As beans are a powerful force, I advise against eating it as the last meal of your day. This is especially true for those of you with a sensitive stomach. With that in mind, I leave you to it. 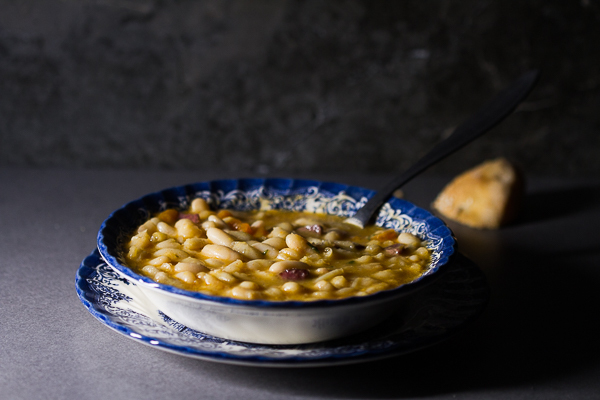 Bean stews, known as grah or pasulj are beloved in the Balkans. One of my favorites of course includes the kielbasa bean stew. Done in a pressure cooker, this one will be on your dinner table in no time (video included). There is the vegetarian version of the bean stew which I tried, loved, and approved. It’s a top secret recipe from the old Yugoslav National Army chefs. In Balkan colloquial, it’s said they hid this recipe like a snake hides its legs. Finally, I can’t finish any discussion of Balkan beans without the baked beans. This one is more a side dish however you could easily make it into a full blown dinner. In a large bowl cover beans with water, and leave to soak 7-8 hours (or overnight). The following day strain the beans and discard the water. Then wash and strain the beans again and set aside. In a deep pot, heat oil over high and add onion and garlic. Lower to medium and simmer until onion crystalizes. Add carrots and meat. Simmer an additional 5-10 minutes. Add seasonings and beans in, and cover with 5 cups of water. Mix ingredients well, cover with a lid, and raise the temperature to high until it boils (about 20 minutes). Add the bay leaf in. Lower them temperature (low to medium), and continue cooking until the beans are tender, but not falling apart. (The length of time varies depending on the type of bean, age of bean, stove, whether you’re using a pressure cooker or a regular pot. For these it took an additional 40 minutes.) Keep adding a little water at a time throughout the process to keep the level even (about 3-4 cups total). A few minutes before you turn off the heat make the roux by warming up the oil in a small pot over high. Once the oil is heated, add flour and stir vigorously so the mixture doesn’t clump. Add paprika and continue stirring for a minute or two more. Combine roux with the soup and stir everything well. Cook an additional 5 minutes. Take the bay leaf out and discard, and garnish soup with parsley. By any chance are these referred to as village beans? 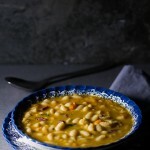 I had a white bean stew when I lived in Sarajevo and I could never get the recipe right. I am going to try this one!!! I am sure it will be great. I remember there being a lot of paprika in the ones I ate there. That’s the first time I hear of village beans. It could be regional though. Let me know if you liked it. 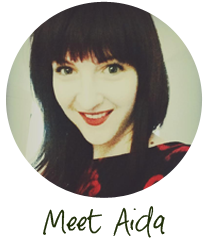 First, thank you for such a beautiful blog! The writing and the photos are equally gorgeous. I’ve been in Sarajevo for a few weeks and will be here for a couple more, working on some research (then it’s back to Germany to resume my grad program :)). Your stories are so descriptive and make me feel closer to the culture and culinary history of the region while I’m here. I loved the detail about Yugoslavian army soldiers being the best cooks–reminds me of being a Girl Scout in the United States growing up. Also, I made this stew and it was so, so delicious. My first time making bean soup with dried beans, and I’m never going back! I also tried your vegetable risotto (sataras sa rižom), and it was really good. I don’t have an oven while staying here in Bosnia, just a stovetop, and so many wonderful recipes (pita, dolma, etc.) need to bubble in the oven. Do you have any particular recipe recommendations for those of us just using a stovetop? Thanks again for your efforts to make ex-Yu cuisine so accessible to English-speakers. Love the blog! Nice to hear you’re enjoying Sarajevo. Drop me a line and maybe we can coordinate a coffee while you’re in town ([email protected]). Thank your for such a generous and detailed reply! I’m sorry to be responding so late. For some reason, I never received a notification of your reply by email, and I forgot to check. I only am just now seeing your reply because I’m making this soup again (in my kitchen in Germany, this time! :)) And this time I also have an oven to make an even greater variety of delicious recipes. My time in Sarajevo was so lovely! I’m sorry we missed each other, but I will actually be back for a conference in late May/early June. I will shoot you an email then. If the timing is right, it would be great to take you out for a coffee. That sounds good. Best of luck w/ everything!